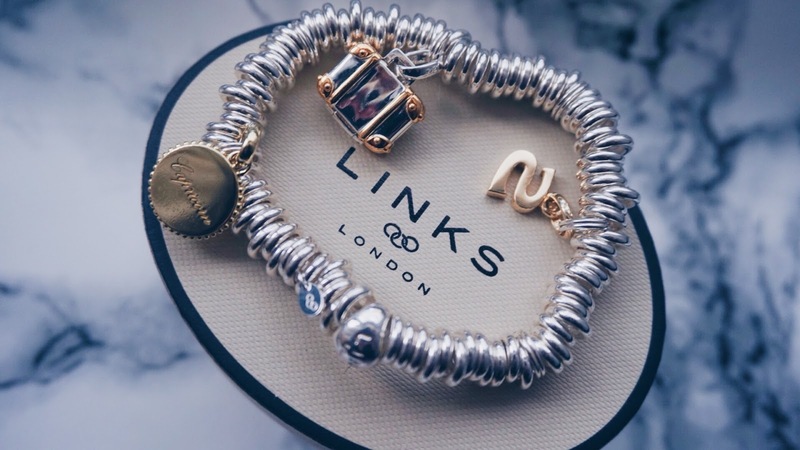 Little sentimental statement pieces are handy this Christmas Season and Links of London is one store to look at. It's Gifting season, and let's be honest we all go mad in search for the perfect gifts for our loved ones, friends and close relatives in hope to find the best gift they will love and adore. I happen to find jewellery very personal but you can also gift these wonderful bracelet with multiple charms to choose from also. I fell in love with the Sweetie Sterling Silver Charm Bracelet €220 - I don't normally go for silver as I'm more of a Gold girl but sometimes you just need a touch of silver as it's bright and look so elegant. I just love this shot capturing the charm bracelet in the light, so beautiful! I added three charms to my bracelet and they all have a meaning. Do check out the full range of charms as there are so many to choose from. I chose the Gold Capricorn sign, being a January Baby myself and love having my zodiac sign on here. Next we have a stunning beautiful Gold and Silver Travel Luggage Case - This is so symbolic to me as I travel so much and so it's very me. Lastly is the Gold "S" Initial Charm with is so simple and elegant that it fitted so nicely on the charm. There's a whole range of beautiful ideas on their website for you to venture in this gifting season so make sure you have a look and see what gifts you can get from the wonderful brand. I definitely recommend the sweetie bracelet as it's so lovely to add charms to. Personalise your jewellery pieces with momentum charms that symbolise yourself or for whom you'd be gifting it to this season.